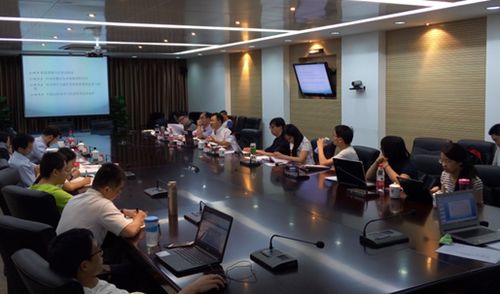 At 19:00 on June 5, 2015, the fifth BoYa Public Law Workshop was held in Room 307 of Peking University Law School KoGuan Building. 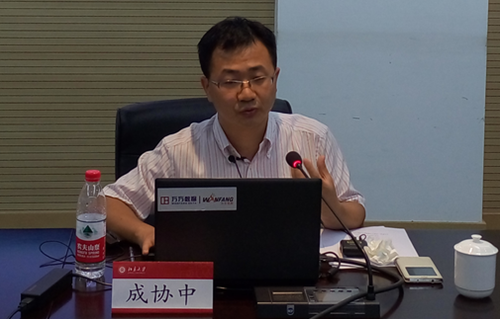 XieZhong Chen, Associate Researcher of Beijing Academy of Social Sciences , served as the lecturer of this workshop, the theme of the workshop is " Chinese logic of administrative illegality inheritance " . Haibo He, Professor of Tsinghua University Law School, Hong Zhao, Professor of China University of Politics and Law School, Guisong Wang , associate professor of Renmin University of China Law School and Gang liu, teacher of Peking University Law School attended the workshop, Chun Peng , Peking University postdoctoral , served as presider and nearly 40 teachers and students participated in the activity. At the beginning of the lecture, postdoctoral Chun Peng introduced and ladies and gentlemen, meanwhile he thanked active participation of all the teachers and students. Subsequently, the lecturer elaborated the Chinese logic of administrative illegality inheritance from China's judicial practice, through the large number of cases and theoretical analysis of the problem. These problems include the raise of the problem and definition, the different positions of administrative illegality inheritance, logical reasoning behind the different positions, the standard and values conflict under the hidden logic, inspiration of institutional change and so on. Finally, the participants commented on the Presentations of the lecturer and put forward their own questions, the lecturer responded one by one. In the interactive sessions, teachers and students actively and enthusiastically interacted with distinguished guests.